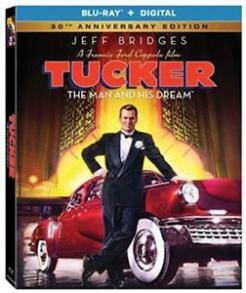 According to New York magazine, Tucker: The Man and His Dream is "as fast, sleek and streamlined as the car - the Tucker Torpedo, that Preston Tucker built in 1948." And filmmakers Francis Ford Coppola and George Lucas celebrate Preston Tucker as the ultimate believer in the American dream. In a dazzling portrayal by Jeff Bridges, Tucker is a dynamic engineer and an enthusiastic showman who enevisions the car of the future. Against mighty odds he manages to build a fleet of them - only to have his factory shut down by Detroit's Big Three automobile manufacturers. They took away his car - but nobody could take away his dream.